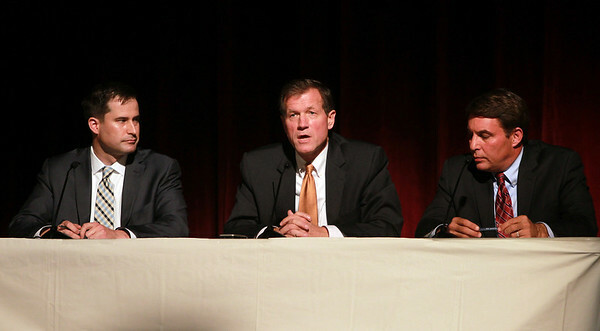 From left: Congressional candidates democrat Seth Moulton, independent Chris Stockwell, and republican Richard Tisei participated in a Congressional Debate held by The Salem News and Lowell Sun at Danvers High School on Thursday evening. DAVID LE/The Salem News. 10/23/14.